Arriving and departing Kiwis are having a major influence on the numbers. Back in the year to May 2012, 22,400 returned home, while 61,800 departed, leaving a net loss of 39,400. Four years later in the May 2016 year, the net loss had reduced to 3,500, as 30,700 New Zealanders arrived home and only 34,200 departed. Nowadays, the numbers arriving and departing are fairly even. In essence, the high levels of net migration are being driven by New Zealand’s strong economic growth. A critical shortage of skilled workers is attracting record numbers of immigrants to our shores. In addition, changes to New Zealand’s health and safety laws, that are forcing more and more employers to drug test workers, are creating a growing demand for unskilled migrants. As a result of drug testing, businesses that traditionally hired locals for basic jobs are being forced to employ migrant labour, as locals – knowing they won’t be able to pass the drug tests – are no longer bothering to apply. Instead of working, they are prefering to sit on welfare and smoke dope. “Every day I drive down Colombo St in Christchurch. On one side foreigners are constructing roading, pathways and buildings. On the other Kiwis are sitting in the street begging. No foreigners are begging in Colombo St. They haven’t the time. They are too busy working rebuilding the city following the devastating earthquakes. “The infrastructure would not be being built if it weren’t for foreign workers. It’s the same in industry after industry. Kiwis won’t work. Foreigners will. Our hospitals would collapse without foreign workers. So too horticulture. I am sure every industry would suffer without foreign workers. “There is also the problem of drugs: Kiwis turn up to work refusing to be drug tested or failing to pass the drug tests. So much so, that I know of workplaces that have given up, sadly and reluctantly, on hiring Kiwis sent by Work and Income. The reality is, that at a time when record numbers of migrants are needed to keep the country working, tens of thousands of able-bodied Kiwis are sitting on benefits, unwilling to get jobs. According to Ministry of Social Development (MSD) figures there are 119,400 working-age beneficiaries receiving Jobseeker Support. More than half have been on a benefit for over twelve months. While 64,000 are categorised as “work ready”, 55,400 have a “health condition or disability” including 25,600 with psychological or psychiatric conditions, 9,200 with musculo-skeletal system disorders, 3,300 who have been incapacitated by accidents, 2,500 with heart disorders, and 600 with pregnancy-related conditions. MSD data also shows 34,000 able-bodied New Zealanders receive Sole Parent Support for children under 5 years old, and 28,000 for 5 to 13 year olds. While those with school aged children are expected to take on part-time work, they are not required to move into full-time jobs until their youngest child is 14. As a result of these weak work requirements, many do not bother trying to find employment. And that’s the problem with New Zealand’s welfare system – there is little imperative for those who are determined to stay on welfare to move off. Germany faced a similar problem more than a decade ago – largely as a result of reunification. The welfare system had become overly-generous, leaving claimants with little incentive to find work. As a result, employers were shifting work abroad to find cheaper labour, leading to a reduction of jobs in Germany. In response, the Government introduced major reforms that ‘significantly’ reduced benefits for the long-term unemployed and tightened up on job search obligations. The changes were a huge success. Unemployment declined from almost 13.4 percent in 2002, to 5 percent by 2014, and the 2.5 million jobs that were created helped the labour market to remain strong, even during the global financial crisis. Of the many changes, the key was to require everyone who was unemployed and wanted financial support to enter into a contract with the Government that outlined the obligations of each party – what the unemployed person was required to do to get a job, and what help and support the state would provide. This contract between ‘jobseeker’ and the ‘Jobcentre’ was coupled with ‘sanctions’ or benefit cuts for beneficiaries who failed to keep their side of the bargain. The Government came to realise that some unemployed would only work if they were forced to do so. Here in New Zealand, while politicians no doubt had the best of intentions when they put in place welfare laws to protect people from the consequences of unemployment, there is nothing noble or compassionate about laws and regulations that discourage employers from hiring the unemployed, and discourage beneficiaries from taking jobs. The fact that 100,000 able-bodied New Zealanders are sitting on the couch being paid by taxpayers, while the country has to import foreign workers, is a national disgrace. The Government needs to act decisively to fix the problem, instead of tinkering around the edges with kid gloves. What’s worse is that National’s newly announced immigration changes, that will take effect in August, are likely to make the problem worse by discouraging unskilled foreign workers, without whom, businesses that are finding it impossible to hire willing Kiwi workers, may be forced to close. Last month, UMR Research published a revealing survey about New Zealanders’ attitudes to immigration. 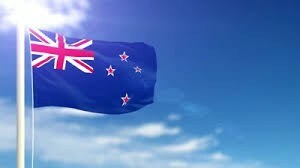 As could be expected for a largely migrant nation, New Zealanders are more positive towards immigration than negative – by 34 percent to 23 percent, with 41 percent unsure. Younger people are the most accommodating, with over half of 18 to 29 year-olds agreeing that increasing the number of immigrants will make New Zealand a better place. In comparison, only a third of those aged 45 or older were positive about immigration, with a third of all respondents unsure. The preferences by political affiliation were very revealing – 43 percent of National voters thought immigration makes New Zealand a better place, as did 41 percent of Labour voters, 55 percent of Green voters, but only 19 percent of NZ First voters. Asked whether the country’s infrastructure was coping with the high number of immigrants, respondents overwhelmingly said no – especially in health, transport and housing. In particular 84 percent of NZ First voters, 79 percent of the Greens, 75 percent of Labour, and 59 percent of National supporters, do not think that housing supply will accommodate population growth over the next few years. When asked whether last year’s 50,000 approvals for Permanent Residence and 200,000 approvals for Work Visas was too high, 79 percent of NZ First supporters agreed, as did 53 percent of Labour, 50 percent of National, and 40 percent of Green voters..
And when asked to make a choice between issuing fewer work visas with more rights for migrants to remain in New Zealand and access social security, or issuing more work visas with fewer rights to stay and access welfare, younger people and Green voters opted for fewer visas and more rights, while everyone else wanted more work visas with fewer rights. Despite strong calls by the Greens for increased refugee quotas, most people remain opposed. While the Government has announced that the maximum intake of refugees of 750 people per year will increase to 1,000 in 2018, 24 percent of respondents thought the number should be less than 750, 19 percent thought it should stay at 750, 28 percent thought that increasing the number to 1,000 refugees is about right, and 22 percent thought it should be higher. When it comes to the issue of paying for citizenship, New Zealanders are united in their belief that all migrants should have to undergo the same citizenship procedures, irrespective of wealth. In other words, New Zealanders believe strongly that citizenship should not be able to be bought. With regards to the cultural practices of new migrants, a majority of New Zealanders across all age groups and political persuasions are relatively relaxed, believing that people should be able to continue with their own practices – as long as they are legal. And with regards to other immigration ‘issues’, 79 percent of New Zealanders think there should be a cap on immigration, 61 percent think only New Zealand residents and citizens should be able to purchase New Zealand property, 45 percent are concerned that cultural enclaves are being created that divide our communities, 36 percent are afraid that increasing rates of immigration will lead to an increase in the threat of terrorism, 36 percent are apprehensive that high rates of immigration are threatening the Kiwi way of life, and 30 percent are afraid that more immigration will lead to higher levels of organised crime. When asked whether people who want to live in New Zealand should have to declare their commitment to the Treaty of Waitangi, 28 percent agreed, 29 percent were unsure, and 43 percent disagreed. And when asked whether New Zealand’s Treaty obligations should require consultation with Maori on immigration policy, 34 percent agreed, 15 percent were unsure, and 51 percent disagreed. Maori leaders, of course, have been trying to muscle their way into a position of control of immigration policy for years. They are worried that rising levels of immigration will threaten their status as the second largest population group and undermine biculturalism. In 2007, the Maori Party’s Tariana Turia, complained that rising numbers of immigrants was stopping the ‘browning up of New Zealand’. Maori Party co-leader, Te Ururoa Flavell, admits that many Maori see immigration as a threat: “I suppose a fear that the position of Maori as Tangata Whenua in our country is a threat by the sheer number of immigrants coming into Aotearoa”. He says they don’t get nearly enough input, and he wants “Maori to be at the decision-making table all the way through the planning stages – from setting appropriate numbers to what support newly-arrived immigrants might need to settle in”. He would no doubt like to see full scale Treaty indoctrination programmes for new migrants becoming compulsory – to consolidate what is already occurring on a voluntary basis. Overall, the UMR survey shows that while New Zealanders are favourable towards immigration, they remain very concerned that our infrastructure is not coping with the high numbers. With opinion divided along political lines, it’s not difficult to see why immigration is such a priority issue for NZ First. While political parties are no doubt planning to jump on the immigration bandwagon, let’s hope they recognise the need to ensure sufficient workers are available for businesses with low skilled jobs – before proposing cuts to the supply of foreign labour. Essentially, that could mean introducing drug testing of all beneficiaries, or tightening up on welfare laws – perhaps along the lines of the German experience of requiring all able-bodied welfare recipients to sign a contract guaranteeing that they will accept any suitable job that comes along, or risk losing their benefit. With further welfare reform clearly an urgent priority for New Zealand, it will be interesting to see whether any politicians have the vision and courage necessary to tackle this issue, by signalling it in their election manifestos. Should able-bodied welfare recipients be required to sign a contract guaranteeing that they will remain drug free and accept any suitable job that comes along, or risk losing their benefits? Those applying for a welfare benefit should be drug tested & not qualify if the results are positive. No benefit & no Job means no money to buy drugs so crime increases. All of these problems reflect a never ending social welfare lolly scramble that has all but destroyed the work ethic of an alarming proportion of the adult population. A.G.R.